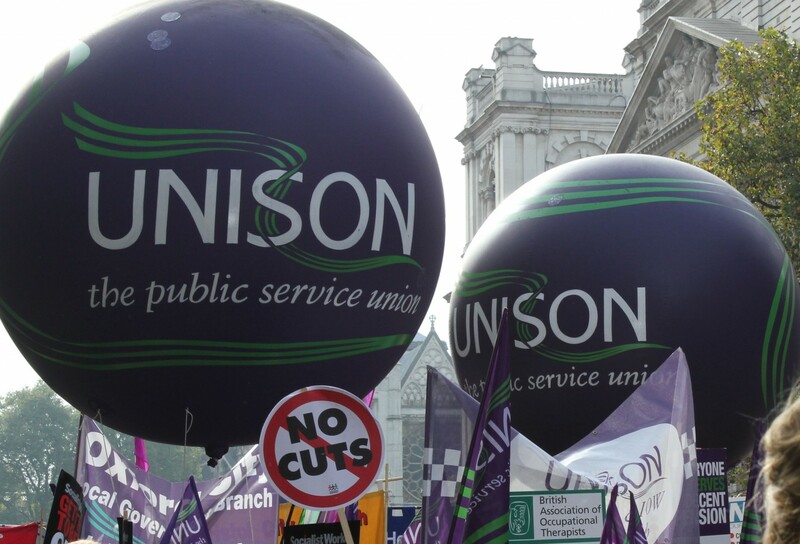 The Council recently introduced a proposal to reduce Trade Union facility time. 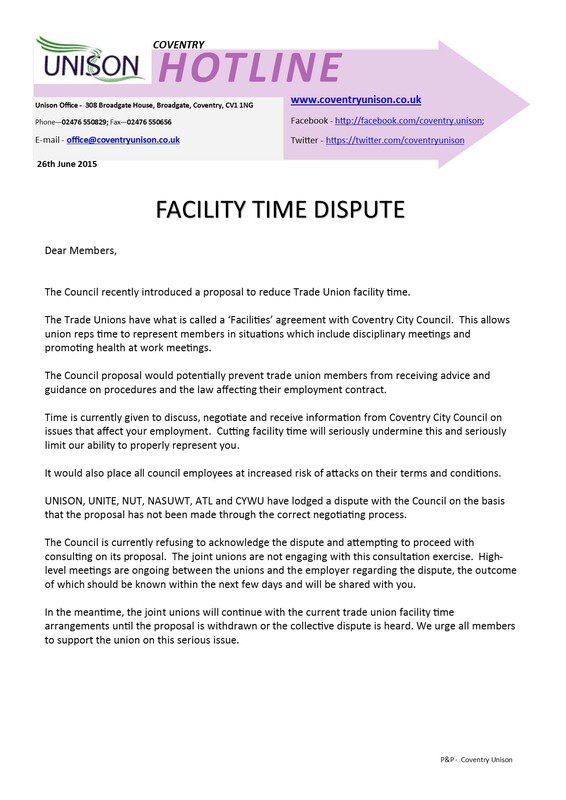 The Trade Unions have what is called a ‘Facilities’ agreement with Coventry City Council. This allows union reps time to represent members in situations which include disciplinary meetings and promoting health at work meetings. The Council proposal would potentially prevent trade union members from receiving advice and guidance on procedures and the law affecting their employment contract. Time is currently given to discuss, negotiate and receive information from Coventry City Council on issues that affect your employment. Cutting facility time will seriously undermine this and seriously limit our ability to properly represent you. It would also place all council employees at increased risk of attacks on their terms and conditions. UNISON, UNITE, NUT, NASUWT, ATL and CYWU have lodged a dispute with the Council on the basis that the proposal has not been made through the correct negotiating process. The Council is currently refusing to acknowledge the dispute and attempting to proceed with consulting on its proposal. The joint unions are not engaging with this consultation exercise. High-level meetings are ongoing between the unions and the employer regarding the dispute, the outcome of which should be known within the next few days and will be shared with you. In the meantime, the joint unions will continue with the current trade union facility time arrangements until the proposal is withdrawn or the collective dispute is heard. We urge all members to support the union on this serious issue. Coventry Pride 27th & 28th June – see you there.